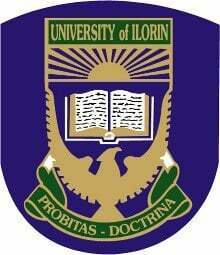 The University of Ilorin, UNILORIN hostel accommodation allocation notice to returning students for the 2018/2019 academic session. LATEST UPDATE: We have received appeals from students on the need to shift the date to allow more students to participate in the online balloting due to various challenges been encountered on the processes and procedure for registration. Hence, this is to inform students and particularly the University community that the *new date is now Wednesday, November 21, 2018,* at 11 a.m.. Please take this as the final date for this exercise. Additionally, newly admitted candidates are enjoined to get registered (become students) to allow the unit open online balloting for them. Following the resumption of students for the 2018/2019 academic session, the returning students of the University of Ilorin (UNILORIN) are hereby notified that the allocation of the University-owned hostels will be online. The available bed spaces will be uploaded on Wednesday, 14th November 2018 21st November 2018 at 11.00a.m. Therefore, all returning students will be expected to cast lots for bed spaces at the above-stipulated date and time. The time for upload of bed spaces for all fresh students will be communicated in due course. Students are advised to proceed with the payment of University Charges to enable them have access to the University-owned hostels’ accommodation on their portals. Students are equally enjoined to note that bed spaces are not transferable or sellable. The Director, COMSIT and Station Manager of F.M Radio are kindly requested to assist with the broadcast of the above information for the attention of all members of the University Community.